Uppalapadu Nature Conservation site is located in the village of Uppalapadu, Andhra Pradesh, India. It is at a distance of about 7 Kms from the main city of Guntur. It is basically a bird sanctuary. 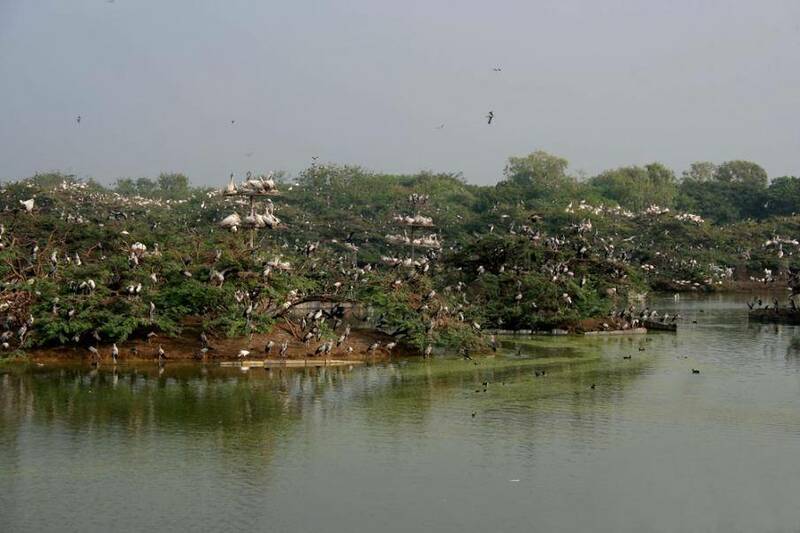 Many tourists visit this place to admire spot billed pelicans and painted storks. Many birds from places like Australia and Siberia migrate here. The water tanks in the village provide the necessary shelter to these migratory birds. The best time to visit is in March and April because it is the nesting season of the migratory birds and there is a good chance that you will spot many exotic birds.